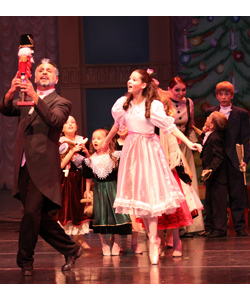 A time honored family tradition returns to the Lancaster Performing Arts Center as the Antelope Valley Ballet brings to life the beauty and wonder of Tchaikovsky's classic ballet, The Nutcracker. Experience the scenic pageantry and costumes you've come to expect from Artistic Director Kathleen Burnett as the lights dim and you are instantly transported to a magical place filled with adorable children and marching toy soldiers. 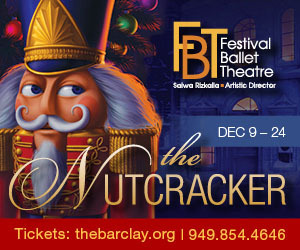 A magical Christmas tree which seems to grow forever; mischievous mice; the Land of Sweets; and Kathleen's beautiful choreography complete this enchanting exhibit which is The Nutcracker. Bring the entire family for an evening of holiday enchantment.